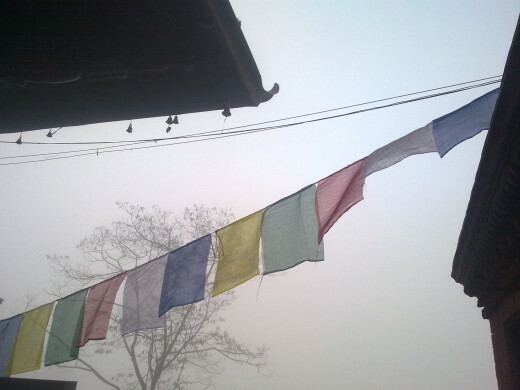 Nepal, a small landlocked country between India and China, is a secular state, but majority of people are Hindus. Hinduism basically is a polytheistic belief. 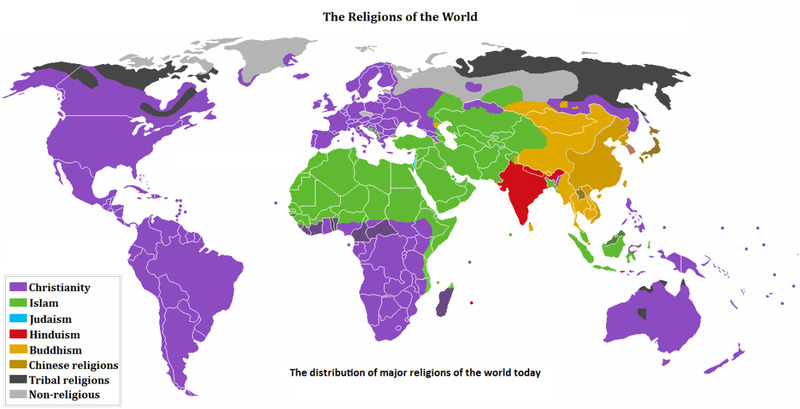 According to the Hindu scriptures, there are as many as 330 million deities. Some of the deities can be mundane such as grass, stone, or tree; while some are more like human beings but with occult power. Some Hindu gods are endemic to certain place and worshiped by certain cults, while others are revered by Hindus all over the world. 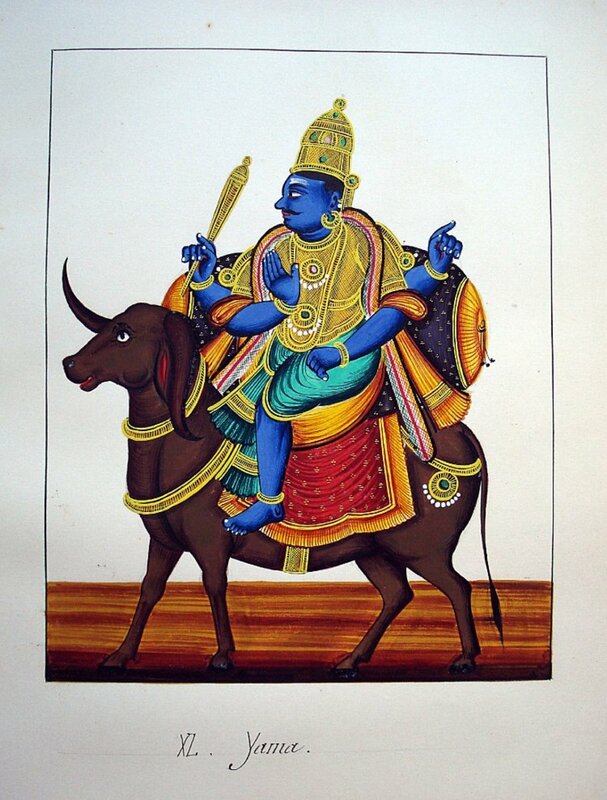 Shiva and Krishna are some of the Hindu gods, who dominate Hindu religion. 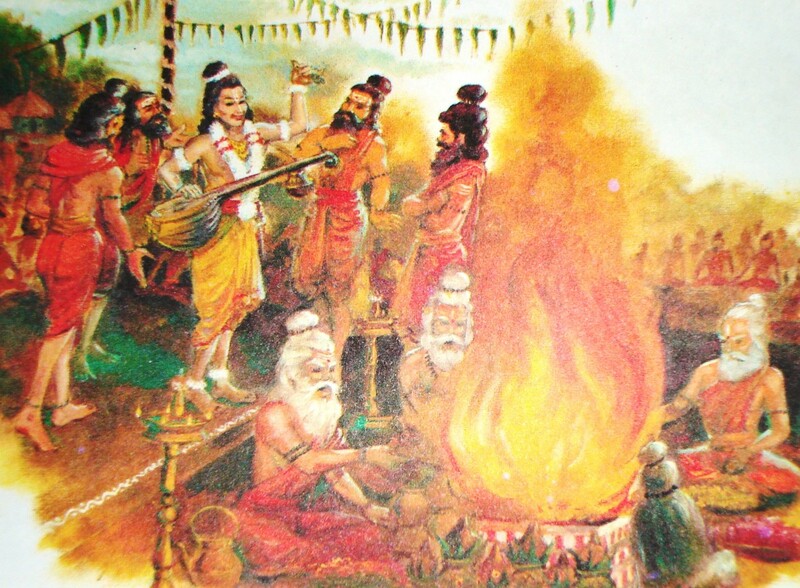 Hinduism emphasize on goddess worshiping cult popularly called Shakta. 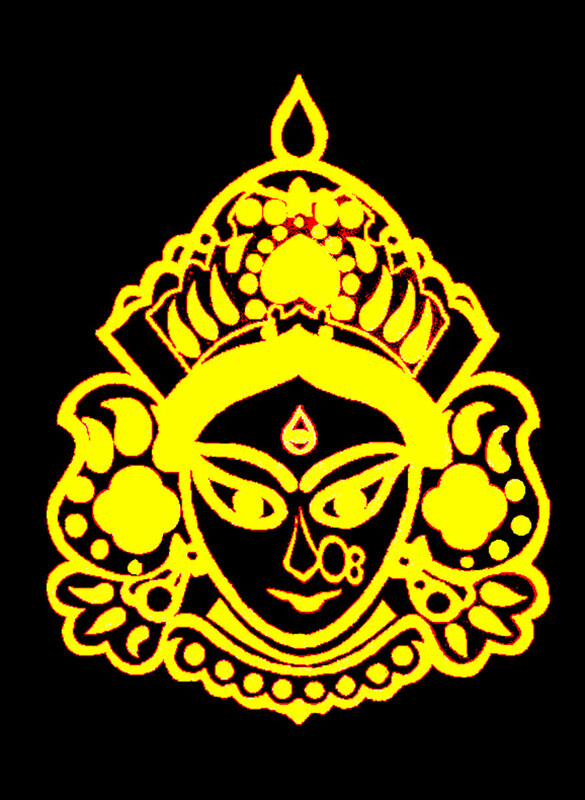 Shakti is a generic name for any goddess and hence goddess cult is called Shakta. 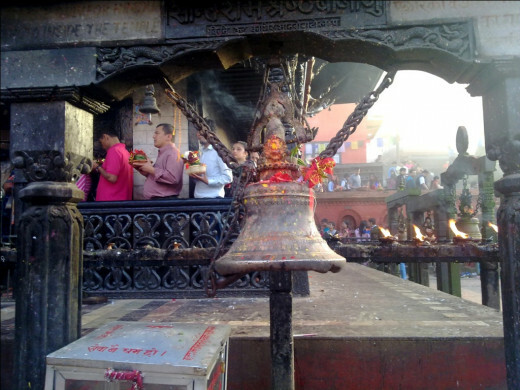 Manakamana, one of many goddesses in Hinduism, is endemic to Nepal. The word Manakamana is composed of two Sanskrit words, mana (mind) and kamana (wish). Hence the literal meaning of Manakamana is wish fulfilling. 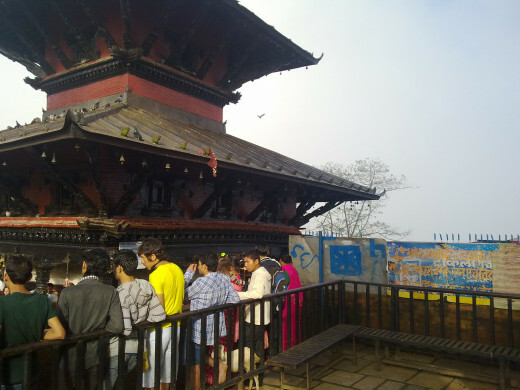 Every day hundreds of people from Nepal and India visit Goddess Manakamana and ask for favor. 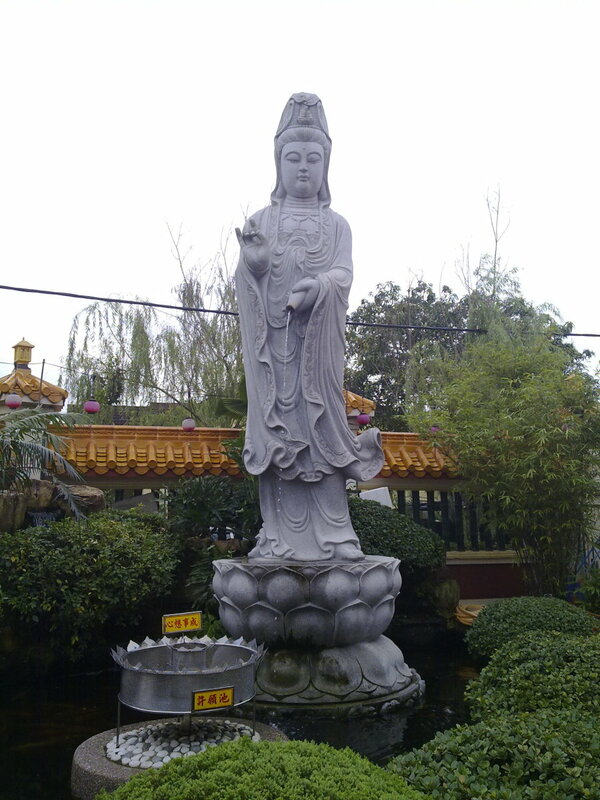 It is believed, every wish of devotes is granted by the Goddess. 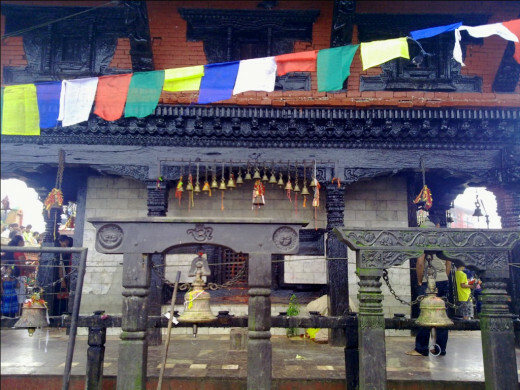 Goddess Manakamana is considered so sacred that photography is not allowed in temple sanctum. 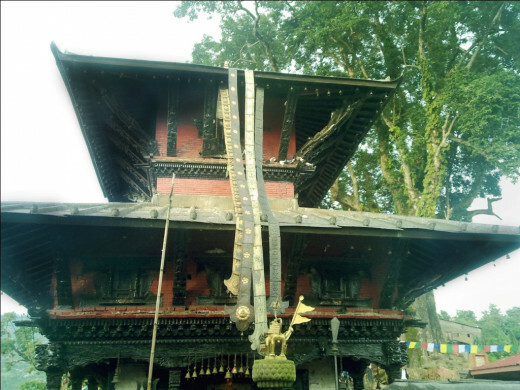 The temple dedicated to Goddess Manakamana is on the top of the hill, in Gorkha district. Until recently, one had to ride on horseback or walk for four hours to reach the temple, but now it is easily accessible by Cable Car. 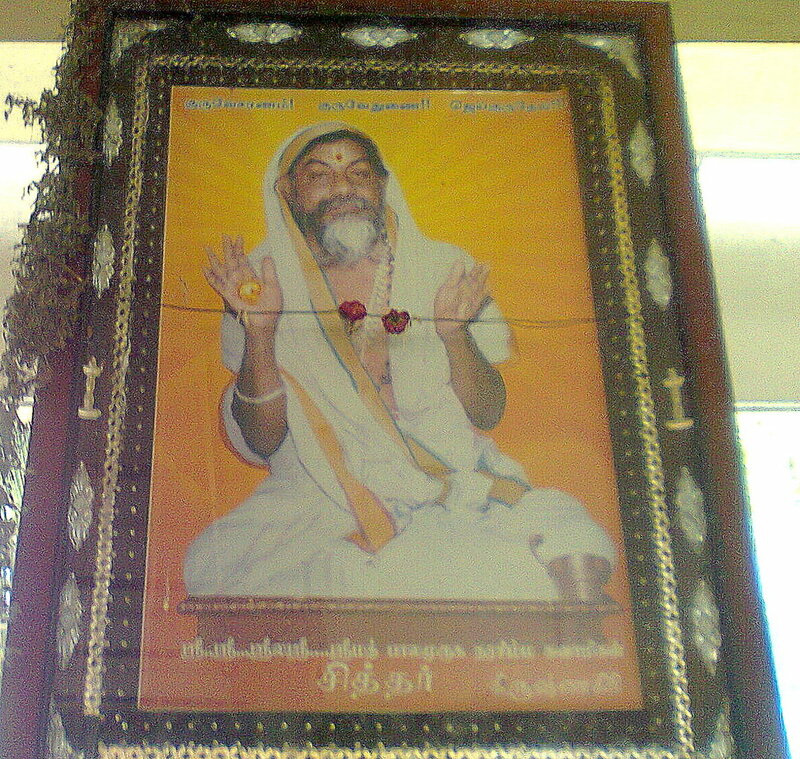 Over the years Manakamana Temple was renovated many times. Today it is a four story pagoda style temple ornately decorated with wood carving and copper roof. 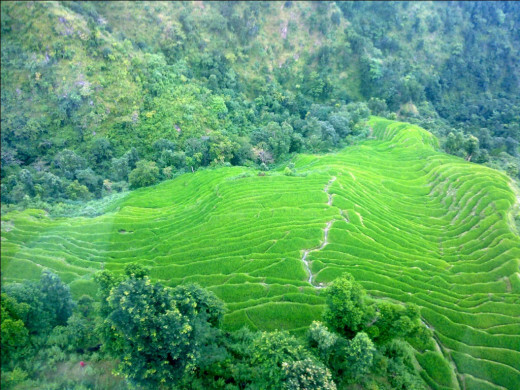 Manakamana Temple is at 1300 meters from sea level and straddles Trisuli and Marshyangdi river valleys. Manaslu, Himalchuli and Annapurna mountains are visible from Manakamana Temple. 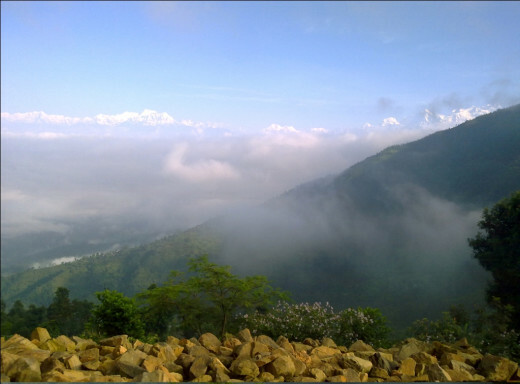 Manakamana is at the junction of three cities Kathmandu, Pokhara and Chitwan. 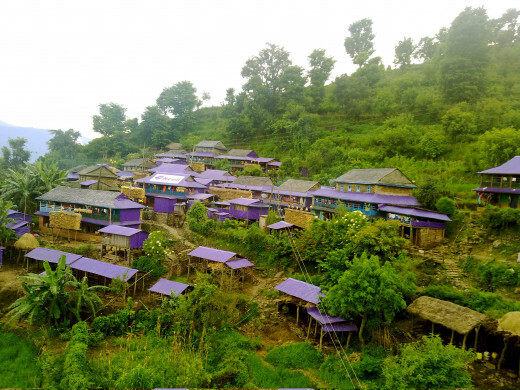 If you want to get to Manakamana Temple on foot, you have to reach Abu Khairini by bus or car, cross a suspension bridge over Marshyangdi River, and then climb a hill. 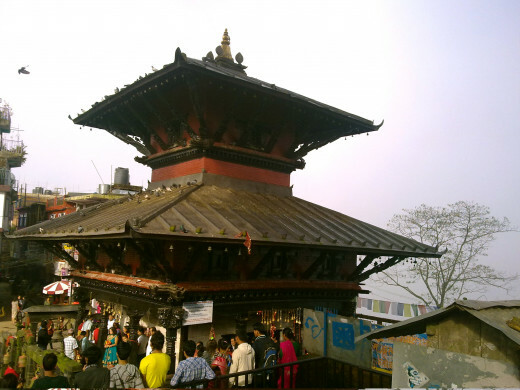 It will take almost four hours to reach Manakamana Temple from Abu Khairini. You can also get to Manakamana Temple by a Cable Car. 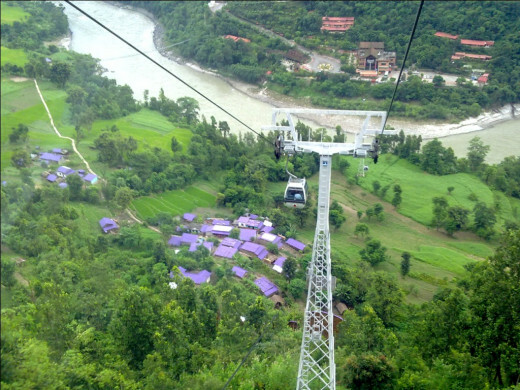 The cable car station is at Kurintar, which is 3 hours drive from Kathmandu, 2 hrs from Pokhara and 1 hour from Chitwan. In medieval age, Nepal was disintegrated in many princely states. One of many satellite kingdoms was called Gorkha. 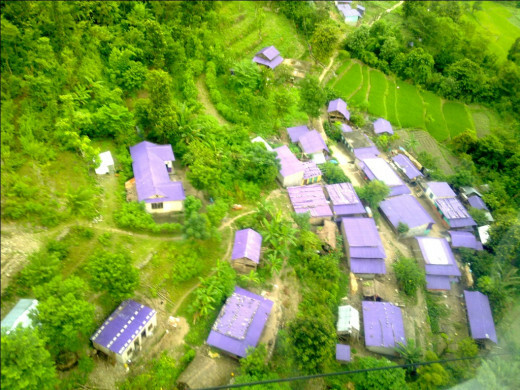 House of Ghurkha (also called Gorkha) was ruling dynasty in Nepal until 2006. In the nineteenth century, British Government in India hired Nepali people for their armed force. Even today Nepali soldiers, popularly called Ghurkha soldiers, are integral part of Royal British Army and Indian Army. If you don’t find justice, go to Gorkha is a popular saying in Nepal. The saying commemorates Ram Shah, the just king of Gorkha. Ram Shah – the progenitor of Prithvi Narayan Shah, founder of modern Nepal – was born in 1614 AD. It is believed, Goddess Manakamana had blessed Ram Shah and prophesized that one day his little kingdom will become an empire. Legend has it once Ram Shah woke up in the middle of night only to find his wife missing. After the same incident occurred following nights, he was suspicious. One day he thought to pry on his queen. He pretended to be asleep and waited for his wife to leave the bed. In the middle of night, the queen walked out of the room. Ram Shah followed her. Suddenly he saw, his queen was no more in human form, she was a goddess riding on a lion and attended by Lakhan Thapa, a servant in the palace. Ram Shah’s queen was actually Goddess Manakamana in human form only known to her devotee, Lakhan Thapa. Ram Shan bowed to Goddess Manakamana and asked for her forgiveness. She said, since people will know about me, I will no more remain on the earth, but will appear some day. Saying so she vanished. Many months later, when a farmer was plowing, he plow struck on a stone. To his surprise the stone began to bleed. The farmer went to Ram Shah and informed about the incident. The following night the king was asked by the Goddess, in dream, to give a proper place to stay. Ram Shah summoned Lakhan Thapa and ordered him to bring the stone to Gorkha so that he could build a temple for Goddess Manakamana. 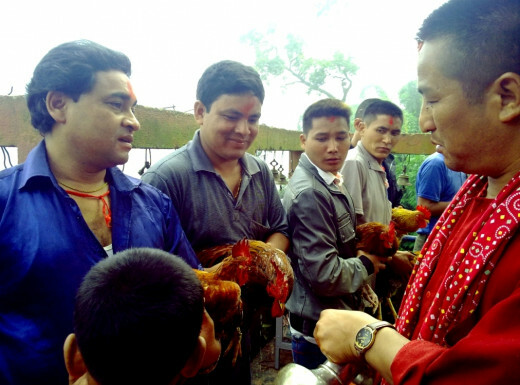 Lakhan Thapa, along with his friends, went to fetch Goddess Manakamana. 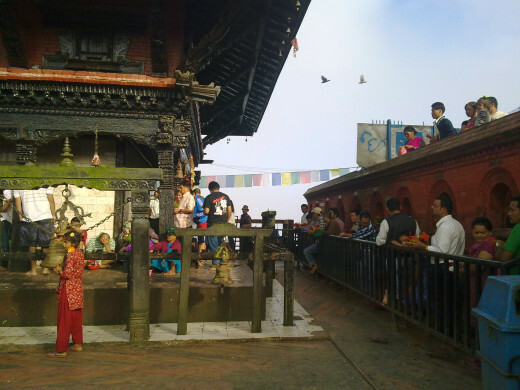 They carried the stone in palanquin and walked towards Gorkha. They climbed a hill and before strolling downward, they rested for a while. When they tried to carry the palanquin again, they could not lift it. Goddess Manakamana had strictly warned Ram Shah not to stop while bringing her to Gorkha. 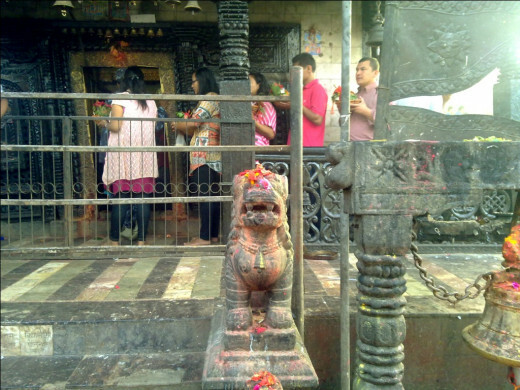 Thinking this incident as the will of divine, Ram Shah built a temple around the stone and appointed Lakhan Thapa as the priest. 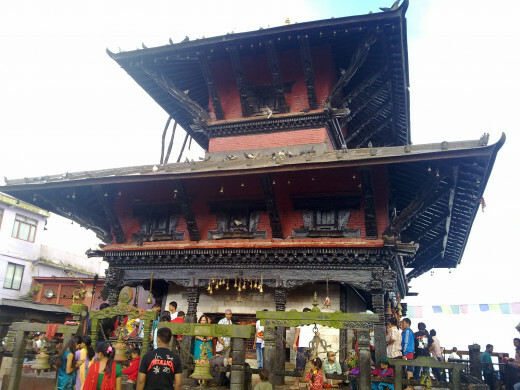 The current priest in Manakamana temple is the 17th generation descendant of Lakhan Thapa. 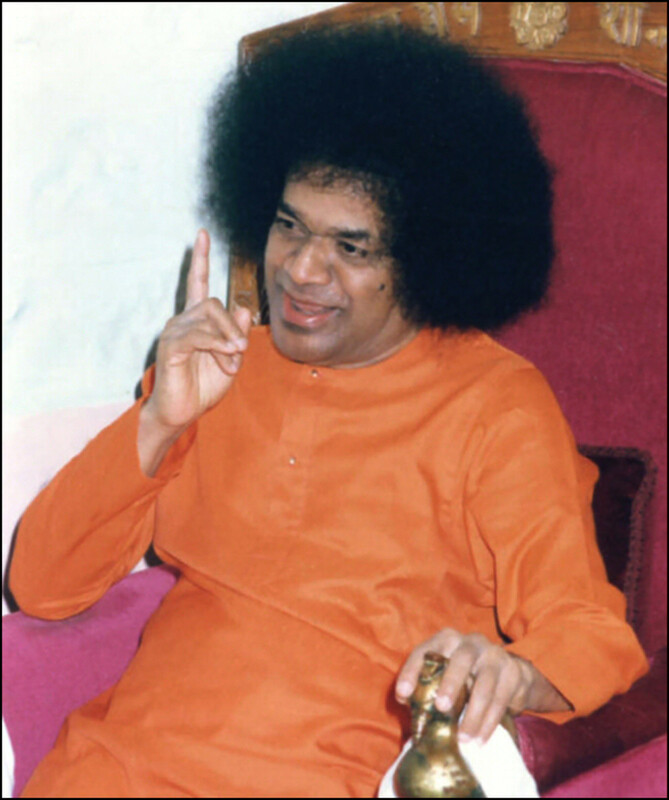 He worships goddess behind closed doors by offering fruits, vermilion, incense, oil wicks, rice, eggs and clothes. 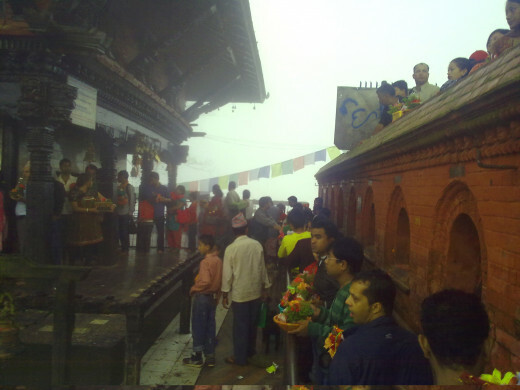 After the priest conducts worshipping, the temple is opened for the devotees. Monkeys are revered in Nepal. 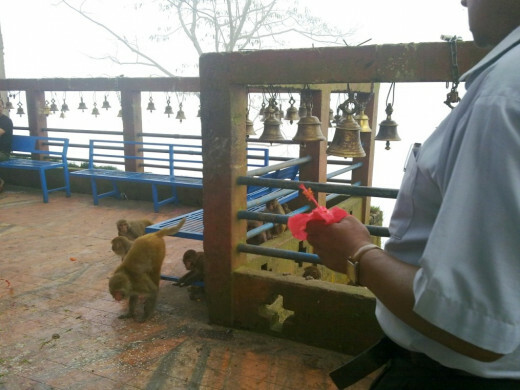 Most of the temples in Nepal are visited by monkeys. 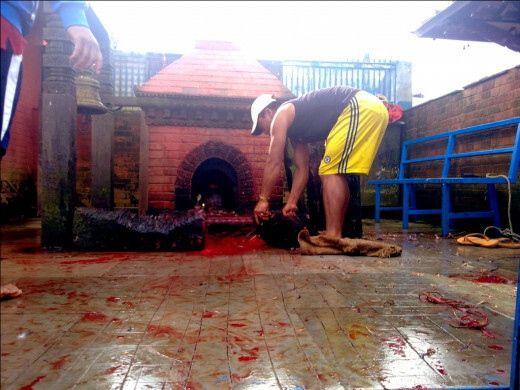 Animal sacrifice is a part of Goddess worshiping in Nepal. 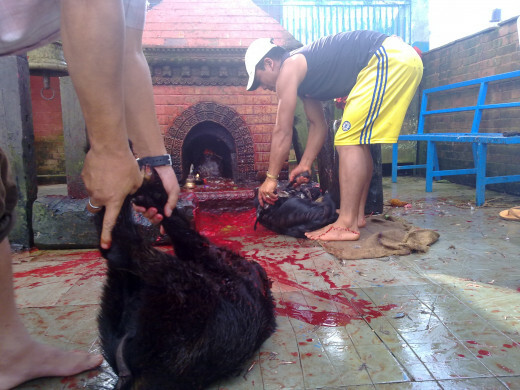 According to widely held belief, goddess demand fresh blood of young uncastrated male animals. 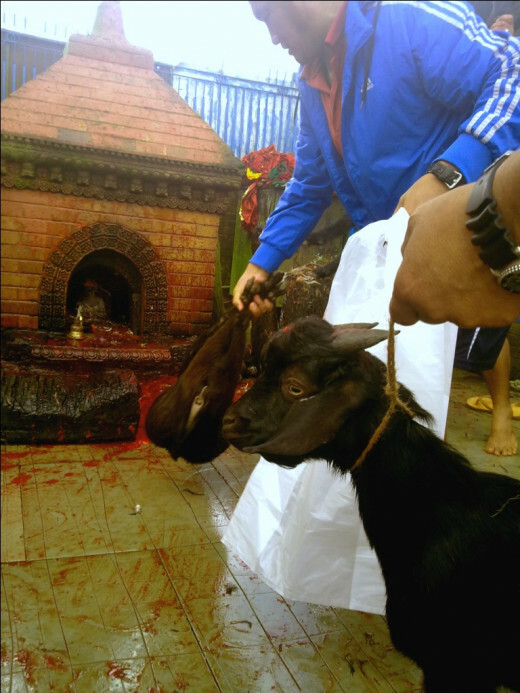 After animals are decapitated, the idols are washed with warm blood and the carcass is eaten as sacred meat. 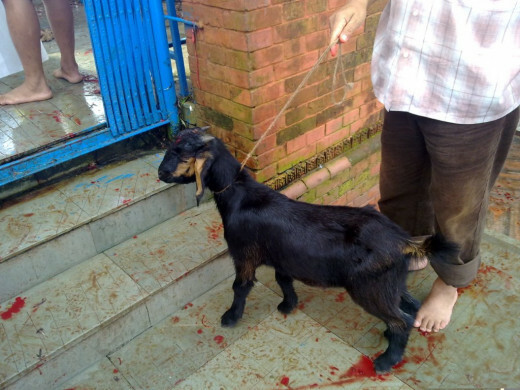 Nepal Government even sanctions budget for animal sacrifice. 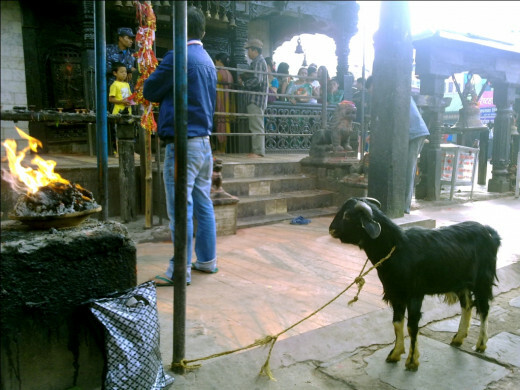 Animal sacrifice is extensively practiced in the temples of goddesses including Manakamana. 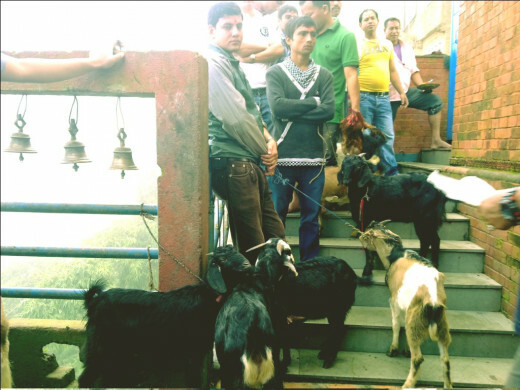 Every day dozens of goats, sheep, and fowls are sacrificed to Goddess Manakamana. Kindly guide- is it important to visit Ma first and make a sacred vow or vacal before her or one can visit her after fulfillment of wishes. There may be many who wish to visit her but financial or other personal problem may be stopping them. I WANT TO WORSHIP THIS GODESS, I COME FROM GHANA AND SO HOW DO I WORSHIP? CAN I GET SOME RECITALS IN ENGLISH? MY EMAIL: alvin823@yahoo.com. thanks for this article. Hi Kitty, I suggest you to read books by David Kinsley. I find his books very inspiring. You can also try Bhagavata Gita and Upanishads. These books are essence of Hindu world views. Thank you, Vinaya. If I was interested in learning more about Hinduism, are there particular books that you could recommend? 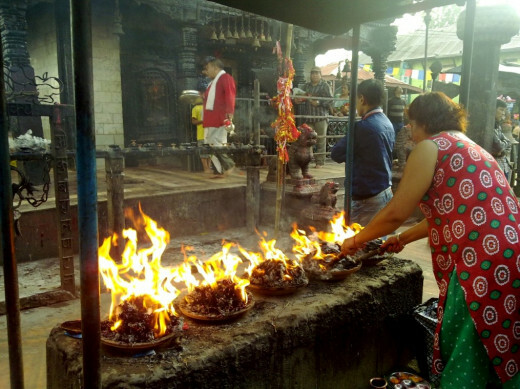 Most of the people in Nepal appreciate when people from other faith and culture try to incorporate Hinduism in their lives. 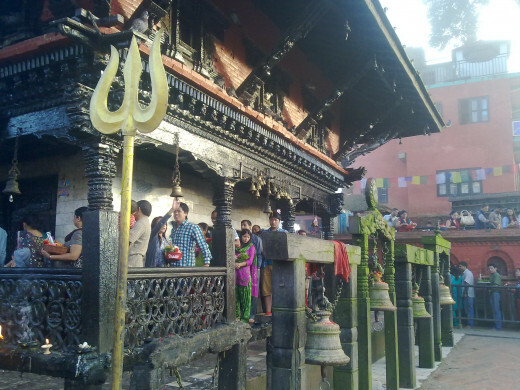 However, it is also true that only Hindus are allowed in temples in Nepal. Vinaya - Now this is why I love coming to visit your Hubpages. This was amazing. The pictures are brilliant and personal, and the article is so well-written and informative. I really learned something from your hub today, so thank you! I was wondering, if people in America wanted to worship/follow the goddess manakamana, do they have to live in Nepal to do such a thing or can she be worshiped from afar? 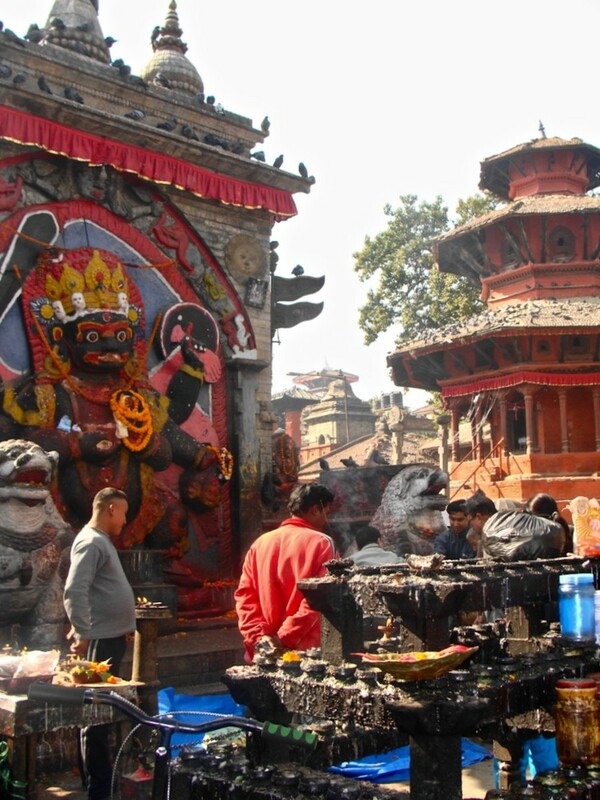 Also, do people in Nepal find it offensive if people of other faiths were to incorporate their gods into their own practices or is it a compliment? Blessings to you, my friend! Hi Angle, monkey in Hinduism is manifestation of Hunuman, the monkey god. Thanks for leaving comment. Do monkeys pray also ? Why they visited most of your temple ? A very beautiful work , pictures makes this whole hub outstanding ! True, there are numerous deities and it is hard to choose to write about them. However, for this particular Goddess, it was quite easy. I had gone to worship the Goddess, shot few photos, and wrote the piece. Hi dreamseeker, I'm glad that you are interested in learning about new culture. Thanks for reading and commenting. 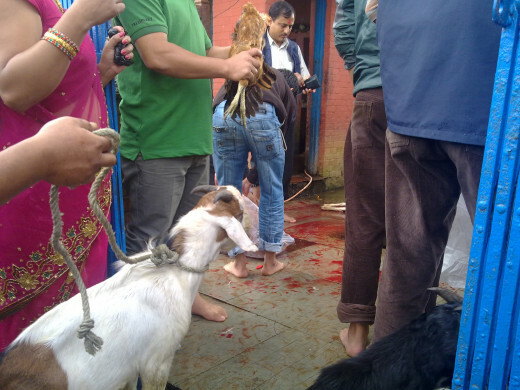 @Sueswan, animal sacrifice is much debated topic in Hinduism. Thanks for reading. @Maria, thanks for always appreciating my works. I knew nothing of Manakamana and now I am enlightened thanks to your interesting, well-detailed description. Your photography is an exquisite enhancement to this culturally rich information. A fascinating read. I could not worship Manakamana as I don't believe in animal sacrifice. Thank you my dear fellow writers and friends for reading and appreciating my works. Have a great weekend. A brilliant hub Vinaya and thank you for sharing. I love all your hubs on your homeland. It's so beautiful and mysterious! Shared all over. Your hubs about your homeland is absolutely fascinating. I learn so much about Nepal from you. Reading about your culture and your goddesses is such a wonderful treat. However, as a friend to animals, I wish the animal sacrifice wasn't necessary. Vinaya, your pictures are always exquisite. Except for being an admirable writer you are also a very talented photographer. Voted up and shared. Thank you my friend. Wow, another wonderful History lesson of your Country, Vinaya. Nice Pictures to Compliment the Hub read. What a Treat to be Enlightened as well as Educated . But, the Animal Sacrifice, I could do without. How would we ever learn about your homeland if it were not for you? Thank you Vinaya. The slaughter of animals is so cruel, please forgive me. I feel deeply about animals..Thank you for sharing..Cheers.. Interesting bit of information on your culture. I have learned something new today and that is always a good thing. Great information and pretty pix. Looks good. I am printing it out for my collection. I did not know much about her. A fascinating legend about how the temple came to be built where it atands, and it seems to be the perfect location, high up overlooking the mountains and rivers and on the junction of three cities. Who could have chosen better. Thank you Vinaya for a well written and infomative hub. @Bill, and you always inspire me with your personal narratives. Thanks for being around. @Janine, Thanks for your honest comment. I'm glad that you took time to read and comment. @Mhatter, thanks for your appreciative comment. Wow! Once again you have fascinated us with the magic and wonder that has unfolded before your eyes. Thank you. Vinaya, I knew nothing of this wish fulfulling goddess before reading your article, but loved learning about her here and you honestly gave so much great information in one place. Thank you for that and have voted and shared all over!! I always learn fascinating information from you. This is a wonderful hub, and I love that I came away knowing more about your culture. Well done!